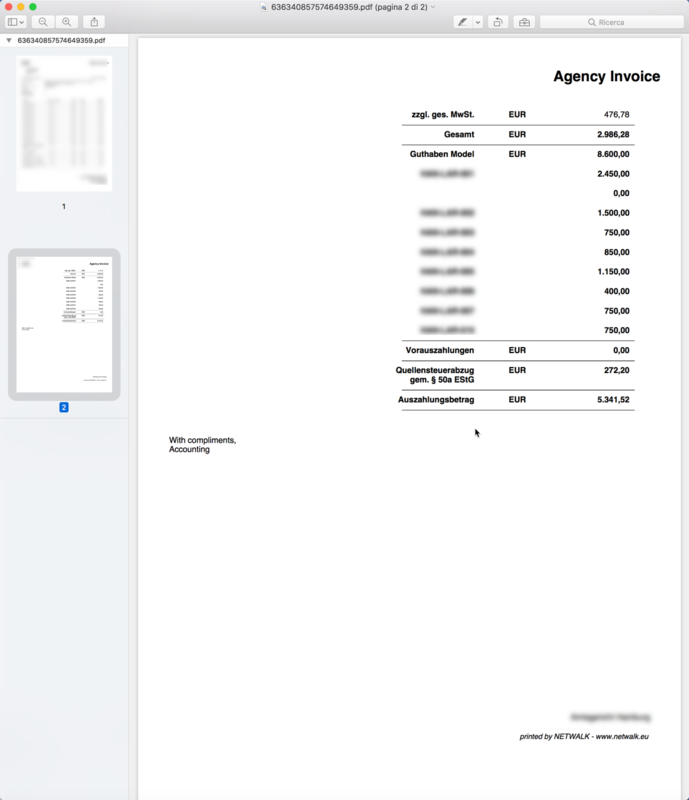 Model’s statement now include the total rate (in the classic configuration we only include the part of the rate that is owed to the model) and a negative amount that is the agency commission. Agency commission may have taxes added depending on the Model Fiscal setting. 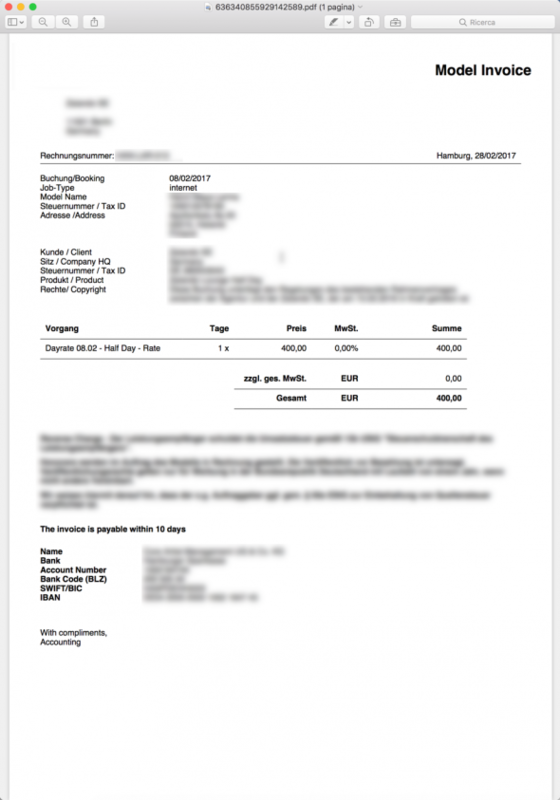 Expenses too may be affected by taxes when needed. 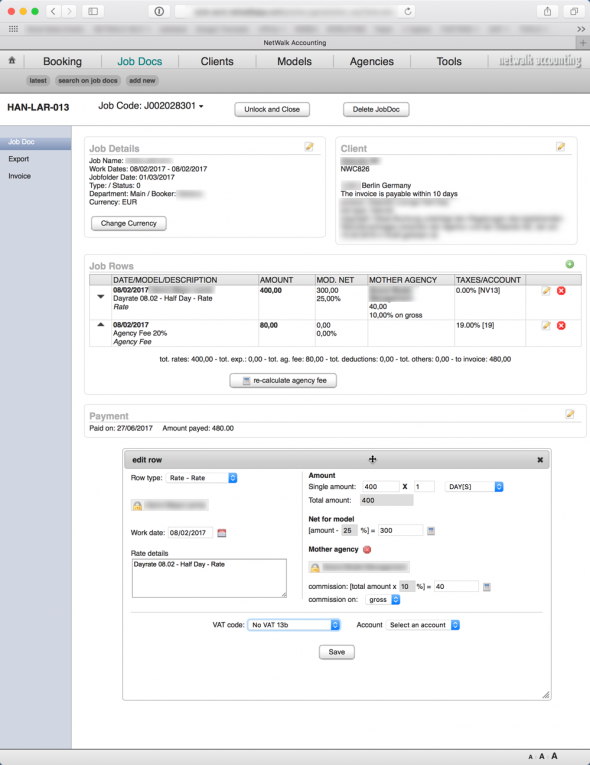 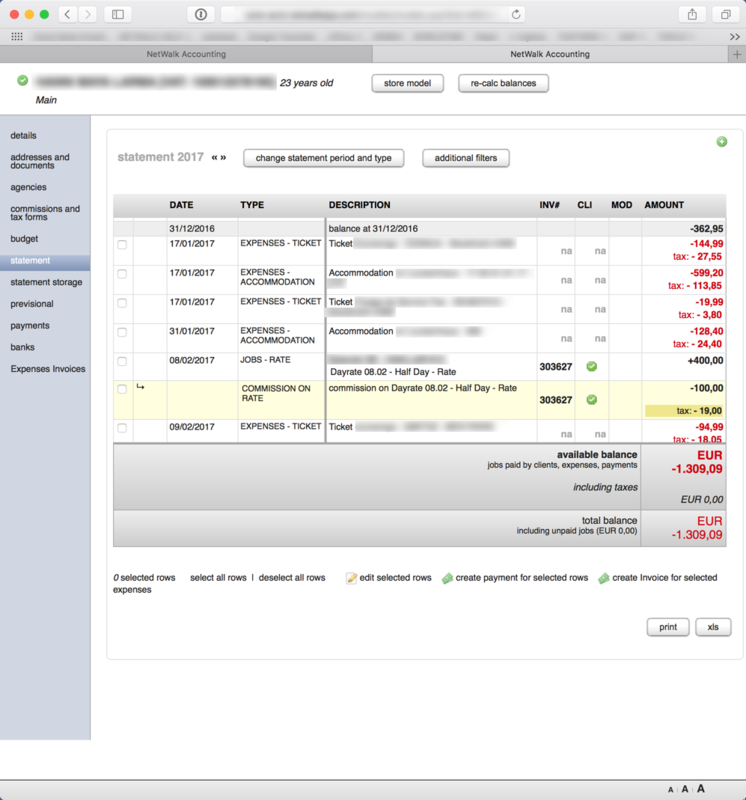 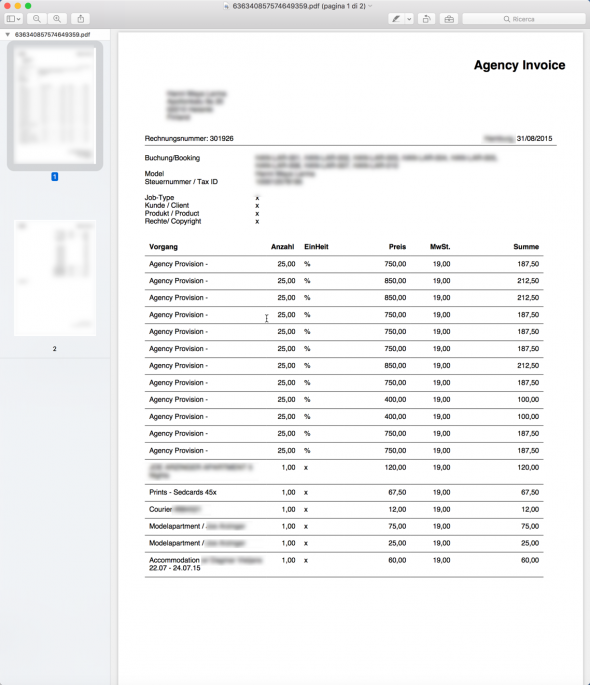 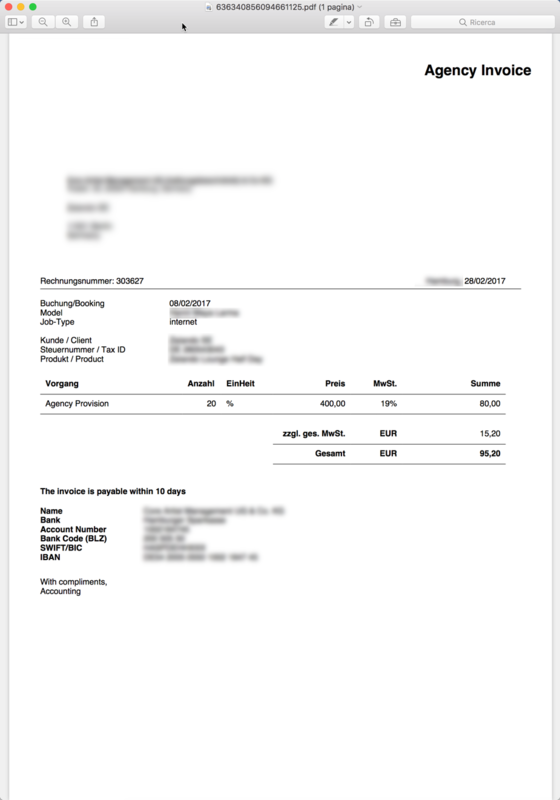 In addition, it is possible to select all the amounts (negative and positive) that have to be added to the “Agency to Model” invoice. 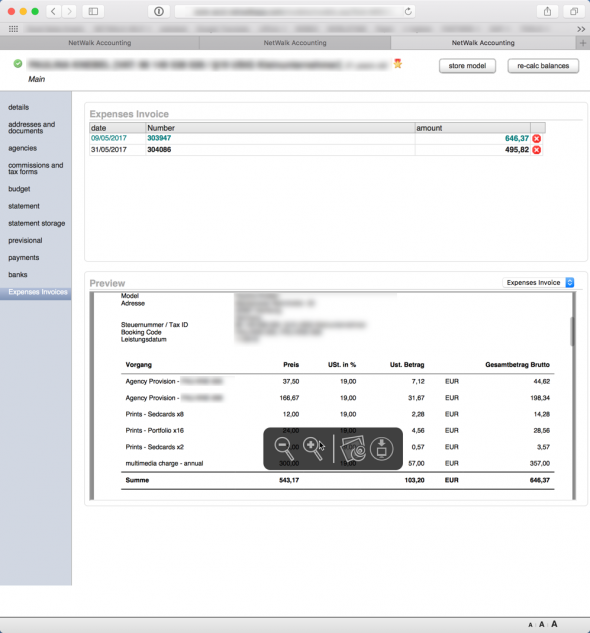 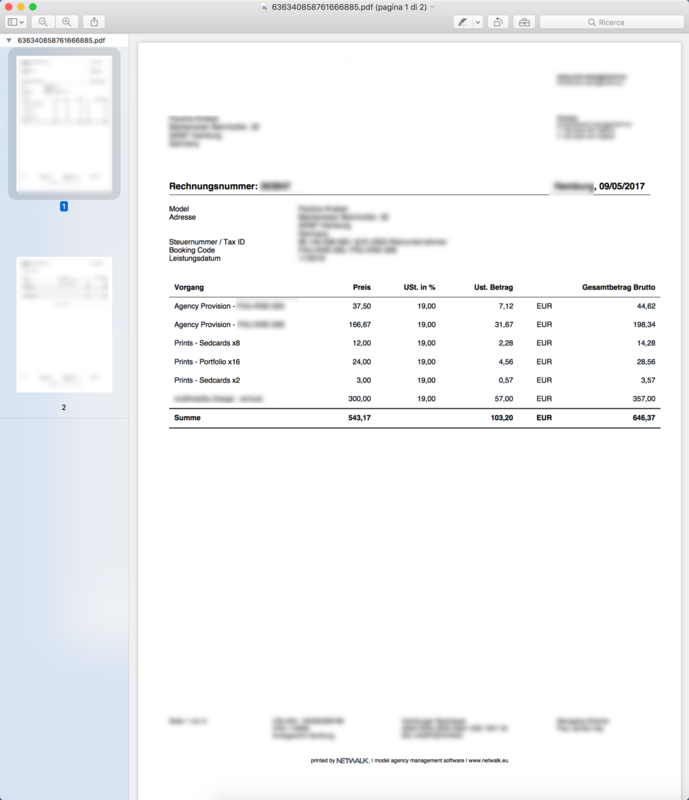 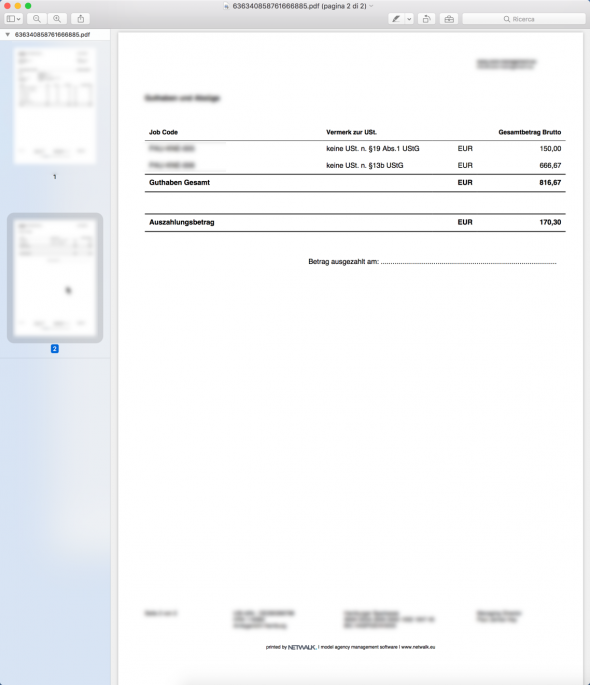 Netwalk Accounting has been recently improved with several tools to keep tracks of all the expenses to be invoiced to Models.